Yes, you heard that right. Google’s second generation Pixel XL 2 cancelled and the phone is going to be replaced by a new larger phone. The 2nd generation Pixel XL was codenamed as Muskie. It was going to be the successor of the famous Pixel XL. Google Pixel 2 concept video went viral in the last month, and it will be powered with Octa-core Snapdragon 835 SoC of Qualcomm. Now let’s see how much truth lies behind this news and why Pixel XL 2 cancelled. Is it a truth or rumor? 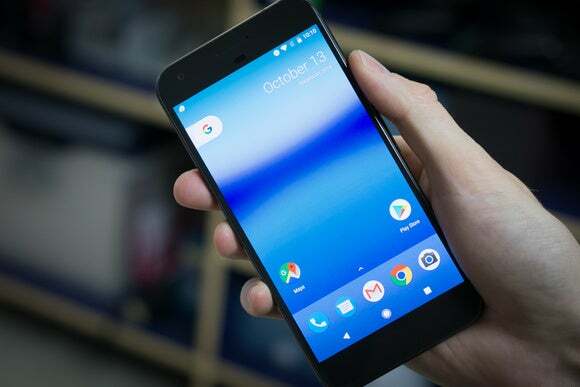 A very little information has been out about Pixel XL 2, the Muskie, but we are very sure that this rumor is going to last. However, this does not mean that there won’t be any other Pixel XL. A new Pixel XL is definitely coming up soon. Have a quick look on the leaked images of Google Pixel 2 and find out if it will really have that compelling feature of 3D photography. Earlier this year, Droid Life rumored a device that was codenamed as Taimen. Many of you might be aware of this rumor too. According to Droid Life, Taimen was much bigger in size than Muskie and Walleye. It is also fairly understood that Taimen is going to be the second generation Pixel XL and that Muskie has been un-shelved due to size issues. With the cancellation of Muskie, Google will be releasing two new pixel smartphones, Taimen and Walleye. Muskie, the Pixel XL 2 cancelled. Are you happy with the news? We would love to know your thoughts.